My name is Wren. I am a 46 yr. young woman who has always revered Sylvia Plath. I have read and reread all of her work. I loved the Bell Jar as I too had a similar experience as a youth in a barbaric asylum. No, I am not crazy and neither was Sylvia, despite what many think. I too am a writer who’s life has many similarities to those of Sylvia. I too, have suffered the unbearable heartache of being married to a man I loved completely only to find out after years of marriage that he was being unfaithful. Although many people now a days have no clue who she was, I find Sylvia Plath to be one of the most important people to ever have been a writer. Her poetry is unrivaled and has inspired my style and uniqueness of the art. She was one of the first women in poetry to express her darkest emotions, fears and thoughts without shame or inhibition. I admire her bluntness and honesty. I cherish her work, my favorite poems being ” November Graveyard ” and ” Daddy”. I too had non-present father and I can relate to her pain caused by his lack of presence in her life. I only wish she hadn’t killed herself over the pain of her husband’s infidelity , as the world needs and hungers for a writer of her caliber. I was not even born when she killed herself, but now that I am a mature woman, I would give anything to sit with her over a cup of tea or perhaps a gin and tonic as she might have preferred and put my arm around her and consoled her over the pain Ted Hughes caused her. I would have told her to not give into the pain , but rather to channel that anger and betrayal into more powerful , expressive poetry. Alas , I will not have a chance to do that as she made a permanent decision to end her suffering. I do however, wonder why the love of her children was not enough to insight endurance of this sometimes hellish life we call existence, but perhaps they reminded her of her philandering husband too much. I can only speculate and that is the saddest thing of all, to lose the chance of ever meeting her and telling her what a difference she made in my life. I am a writer. I am a woman. Sylvia Plath made a huge difference in my life and my work. I can only hope she found the relief she was searching for in the afterlife. I haven’t read little about Sylvia, but just what I needed. I have been into a para-psychological experience with Sylvia, that I couldn’t tell about, but to publish on http://www.poemhunter.com/poem/sylvia-2006/, and subsequently there were another fascinating experiences about somo of her writing, even one of Sylvia Plath unknown is published under her name in my poetry book in Español “Escenas” “You made warmth while I speak and I don’t need my fireplace…” (Sylvia Plath), and some others about. I am glad to be quite honest and truth to her. To preserve her writing, because me, as a writer could take advantage of it. But, I am truly honest to preserve a memory that isn’t mine, a wonderful mind which does not advantage on another one, and does write in her own. I’ve read that Ted Hughes had a trunk sealed until 2023 at Emory University (where his archive is housed), it’s possible that the missing journals and this manuscript are still there. Never mind my last comment, you stated this possibility in your last paragraph. Possibilities, Michael, yet we’re not far away from certainties… Will be fascinating to see what is in that box at the Atlanta library a few years from now, and whether it contains the Plath papers that Hughes once said he had burned. Thanks for your comments. I found this interesting article about her lost journals (and to a lesser extent the novel) and the Emory trunk. I do believe that Carol Hughes, along with the 2023 deadline, has to have passed as well. Interesting article. Thanks for taking the trouble to post. I wonder whether that caveat about Carol Hughes is definitive, or hearsay. If true, we’ll be waiting a little longer than 2023 before “whatever has been hidden will lie in the open”, as Hughes promised Aurelia. Special restrictions: Use copies have not been made for audiovisual material in this collection. Researchers must contact the Rose Library at least two weeks in advance for access to these items. Collection restrictions, copyright limitations, or technical complications may hinder the Rose Library’s ability to provide access to audiovisual material. Thanks for the sterling research. I’ve updated the article to reflect your findings. Makes you wonder — what on earth is in there? I’m hoping Double Exposure, the two journals and anything else that maybe unaccounted for. I’d wondered exactly what it is that Carol Hughes needs to be protected from, but recently, letters to Ruth Barnhouse (Sylvia’s psychiatrist) were discovered to exist, and the contents evidently contain domestic abuse allegations against Ted. It’s possible he didn’t want Carol exposed to that side of him. However, if that were truly the case, you would think that he would’ve included the lives of all his immediate family rather than just Carol’s before that trunk were to be opened. The whole thing is very, very perplexing. If Mr Davids (who knew Ted Hughes well) is right, then the poet’s “sense of appropriateness and archival integrity” would suggest that any Plath papers have gone to Smith, not to the sealed box in Emory. So Double Exposure, the two journals, and the many uncollected Plath letters out there may not be what we find. Hughes’ own journals might be what’s in there. Or Assia Wevill’s, perhaps? I don’t think Assia’s Journal is in there since its contents (granted, from what I recall it was only paraphrased to avoid possible lawsuits, Assia apparently even read what was finished of Double Exposure ) were paraphrased in “Lover of Unreason”. I think Johnathon Bate, who recently published an unauthorized biography, had access to Hughes’ journals but could only paraphrase from them because the family withdrew their endorsement of his biography due to disagreements over the content. “hid the last journal—about 2 months of entries,” rather than destroying it. Hughes frames this news as a secret confession: “I have never told this to anyone”. According to the article, that letter was dated in 1990. I was searching the Forum archives awhile ago for references to Double Exposure or Double Take, supposedly the working title of Plath’s last novel. 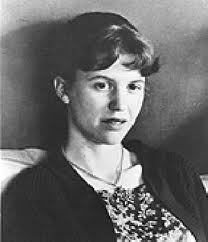 There was a post (I think it was by Elaine Connell, but am not sure; excuse me, Elaine, if I don’t remember correctly) saying that 120 pages of that last novel manuscript were in the Smith College Plath Collection, sealed, and no one knew when they would be unsealed. I contacted Karen Kukil at Smith and asked her about the manuscript, and she said “Funny thing, for the last couple of years people have been asking about that” and she had no idea why, as Smith does not have that manuscript, doesn’t have any idea where it is (or isn’t), and if and when it ever comes to light, it wouldn’t automatically belong to Smith because it was not included in the original purchase: if it’s found, Smith would be bidding for it along with anyone else who wanted to acquire it. I told Karen I’d write to the Forum and clarify that Smith does not have the Double Take/Double Exposure manuscript. Well, well, well. That’s a surprising find, Michael, and thanks for sharing. Seems to have taken many scholars by surprise. So the archivists at Emory opened the trunk in 2003 and didn’t tell anyone? Or mark the papers that they integrated into the main collection as to their provenance? Startling. We may never know why they did that. But you’re right, there’s no lost journal in there, no draft of the manuscript that first caught my attention — Double Exposure — and we now don’t have to wait until 2023 to know that for certain. The question remains, therefore. Where are they? Destroyed or still in someone’s safe keeping? Where he hid it, if he’s telling the truth? Who knows.